Le pont suspendu de Triel sur Seine exemplifies Gustave Loiseau’s life-long fascination for the Seine and its tributaries. Set in a village north west of Paris, the work captures the passing of the water in a moment of muted light. 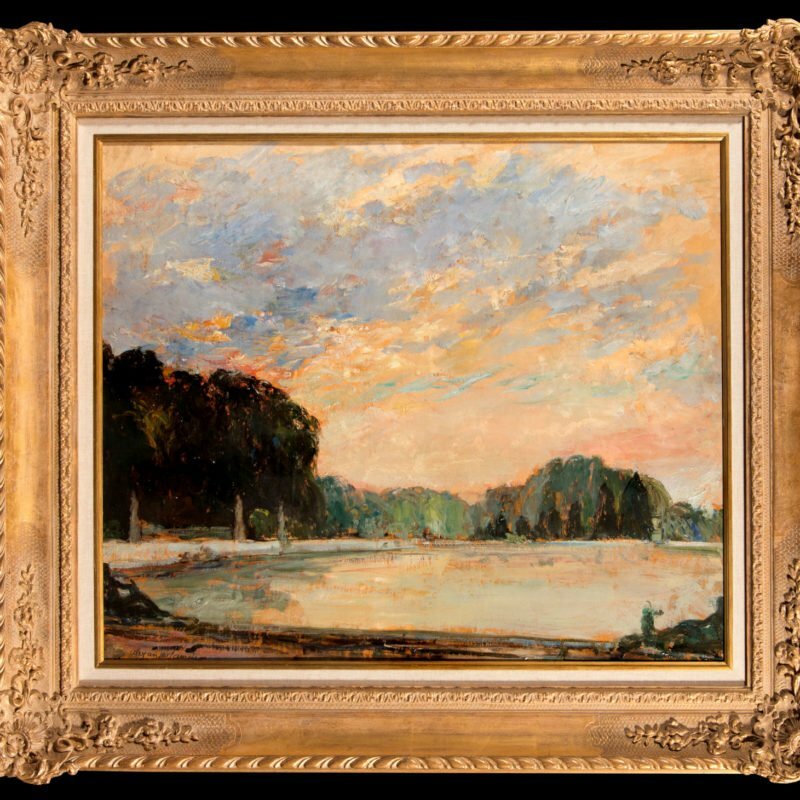 Avoiding the strong light of midday, Loiseau often preferred the softer crepuscular light of morning or evening. A great friend of the painters Maxime Maufra and Henry Moret, Loiseau belonged to the generation of young artists which the Impressionists recognised as the successors of their legacy. In 1895, Monet and Auguste Renoir introduced these young painters to their art dealer Paul Durand-Ruel, who two years later signed an exclusive contract with Loiseau. Thanks to this contract, in the following years Loiseau was able to travel repeatedly to Normandy. Following the Seine on its course towards the English Channel, in those years Loiseau painted the most significant group of works of his career, gaining the title of ‘historiographer of the Seine’. In its subtle brilliance, ‘Le pont suspendu de Triel’ demonstrates Loiseau’s sensibility for a subject which he tirelessly explored throughout his career.